Using its snap traps, which are only a few millimeters in size, the waterwheel plant catches prey animals that live underwater. 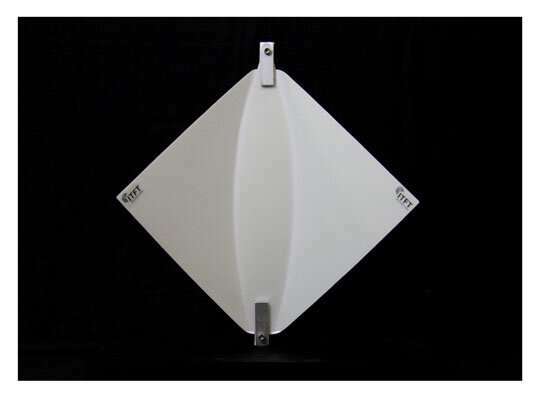 The traps snap shut within about 20 milliseconds of mechanical stimulation. 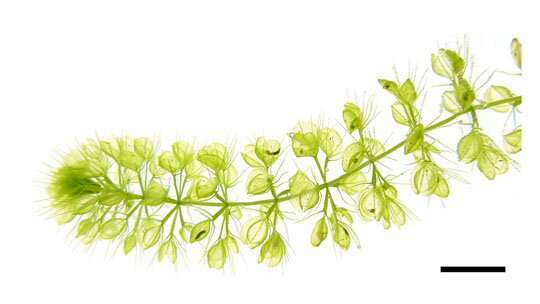 The basic trapping principle of the waterwheel plant is the same as the terrestrial Venus flytrap (Dionaea muscipula). However, the two types differ not only with regard to the mediums in which they live, but also in the size, rapidity and movement mechanics of their traps. 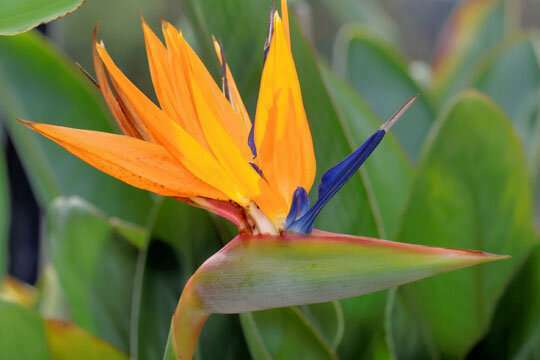 The researchers believe it is important to establish whether the plants have adapted to catching special types of prey in order to better understand their ecology and evolution. This knowledge is also key to possible conservation measures, because loss of suitable habitat is threatening the waterwheel plant with extinction. 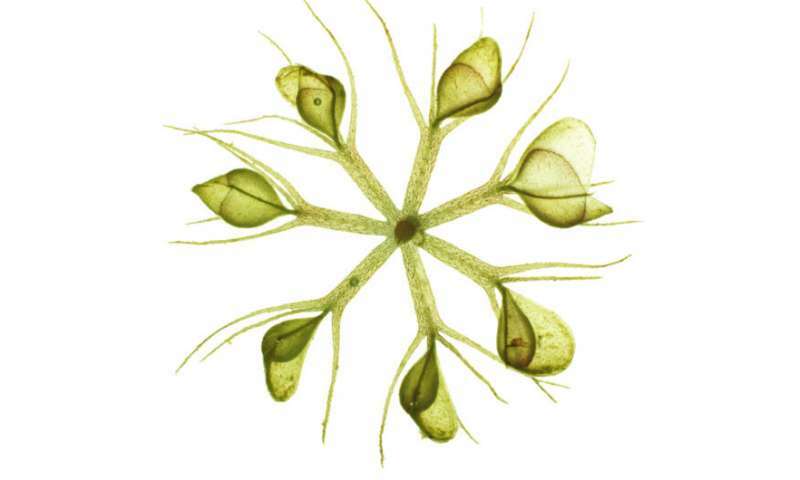 The scientists undertook comparative analyses of the prey composition of a total of eight different populations of the waterwheel plant in Germany and the Czech Republic. This showed that the prey's mode of locomotion is irrelevant to Aldrovanda, because besides fast-swimming prey, the researchers also often found slow-crawling animals such as snails in the traps. The 43 prey taxa identified ranged from tiny water mites to comparatively large mosquito larvae and back swimmers that barely fit into the traps. Likewise, the trap size does not act as a morphological filter for certain prey sizes, as large traps also contained small prey animals (and vice versa). Since the waterwheel plant occurs in highly fragmented habitats, which may be very different in terms of the composition of their animal inhabitants, the diverse diet of Aldrovanda could be an advantage over a stricter prey specialization, the researchers speculate.